One of the core tenets of a World Spirituality is to be All In for All Life. The way you do that is through the twin principles of Unique Self and unique responsibility or obligation. Feel how your heart contracts at that word obligation–but obligation is not an obligation imposed by a tyrannical government or parent. In Hebrew its original meaning is the same as love. It means that I am inseparable from all life, so I have to be all in for all life. We are not just narrow skin encapsulated egos who capture information from only five senses. There is so much beyond the senses. We are unique expressions of the seamless coat of the universe, of the infinite pulsing field of life and source that is All-That-Is. That’s what obligation means: I am connected, I am not separate from, I am not in denial of my true identity, I am not alienated. But obligation is not just general. Obligation which is the delight of obligation. It is the joy of being a unique expression of the love-intelligence, and giving your unique gift, adressing the unique need in your circle of intimacy and influence. Let’s go even deeper. That meand that you are God’s unique intimacy. You are a unique expression of Essence. But Essence is not only the infinity of power. Essence is the infinity of intimacy. But Essence expresses itself uniquely as you. Essence is having a You experience. You are the irreducibly unique expression of the love-intelligence and love-beauty that is the initiating and animating Eros of All-That-Is, and that creates your unique obligation. To be All in for All Life means to become full from living your unique obligation. How do you determine your unique obligation? A story: You are shipwrecked with your neighbor on a desert island and you will never be rescued. Your neighbor John is driving you out of your mind. He breaks both of his arms. Do you or don’t you have an obligation to feed John? Everyone says yes you are obligated. But why? 1. There is a need. 2. It’s a legitimate, authentic need. 3. You recognize the need. Its clearly discernible. 4. You have the capacity to meet the need. 5. You are the only person in the entire world that ever was, is, or will be who has the capacity at this time to meet this need. That create unique obligation. It emerges from your Unique Self. 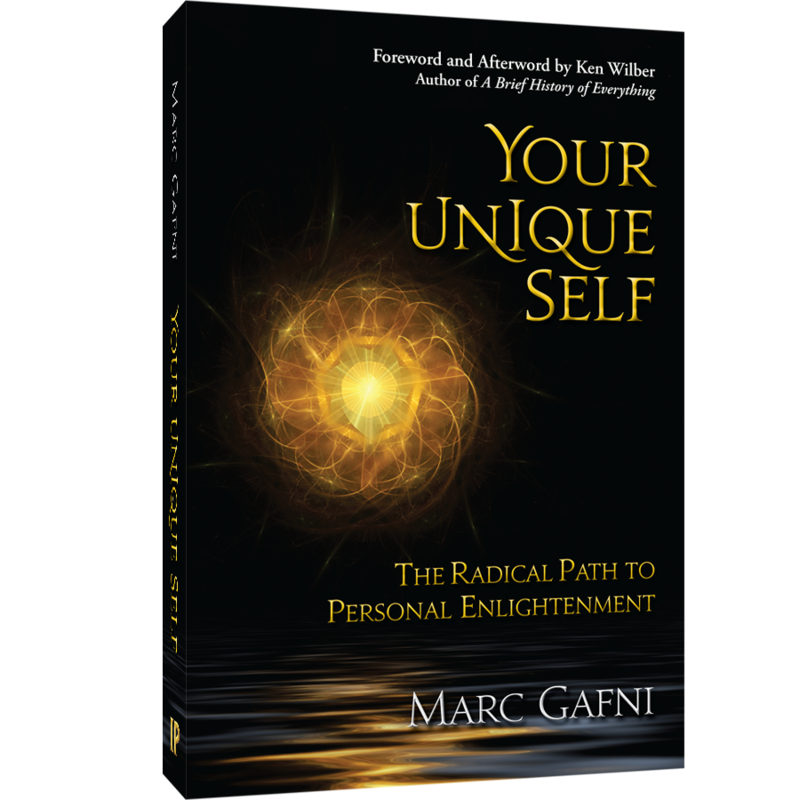 To awaken into your own Unique Self enlightenment, your Unique Self being the irreducibly unique expression of the love-intelligence that lives as you, in you, and through you, and your Unique Self which has a unique perspective, a unique insight into reality, which therefore is able to give a unique gift unlike any other, and that gift potentially adresses a unique need in your unique circle of intimacy and influence… So when you really get Unique Self in this deep way you realize that when you awaken to your Unique Self there is by definition a unique need that you are able to adress that you are able to adress that no one else is able to adress but you. That’s what it means to be awake. To be awake is to realize your singularity. That creates in you unique obligation and radical unique joy–your joy–the joy of living your life. So actually the situation with John on the desert island is the true nature of your lived reality in every moment of your life. To be all in for all life isn’t just generic but it means you step in and address the unique life need that can be engaged, adressed, and gifted to through your unique life. Then, you begin to participate in the Unique Self symphony of love and creativity, of outrageous love and outrageous creativity, of your own outrageous entrepreneurial contribution to the unfolding of a better world, of a world that is more whole, more sane, more good… And so it is.